Product categories of Red PE Tarpaulin, we are specialized manufacturers from China, Red PE Tarpaulin, Large Tarpaulin Sheet suppliers/factory, wholesale high-quality products of Lightweight Tarp R & D and manufacturing, we have the perfect after-sales service and technical support. Look forward to your cooperation! Red PE Tarpaulin also called Red Poly Tarps, Red Tarpaulins, Red Tarps or Red Lonas, has two types of Red readymade Tarpaulin Sheet and Red Tarpaulin in roll, are widely used as Red Truck Tarps, Red Boat Covers, Red Awnings, Red Camping Tent, Red Tarp Canopy, Red Temporary Shelters, Red Heavy Duty Tarps, Red Light Duty Tarps, Red UV Tarpaulin, Red Fire Resistant Tarps, Red Insulated Tarps, Red PVC Tarps, Red Emergency Tarps, Red Hay Tarps, Red construction Tarps, Red Waterproof Tarpaulin Covers, Red Wood Covers, Red Pool Covers, etc. 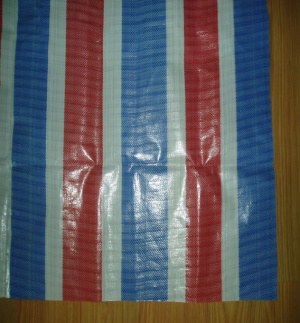 Related other color are available as Red Silver Tarpaulin, Red Blue Tarpaulin, Red Grey Tarpaulin, Red Black Tarpaulin, Red White Tarpaulin, Red Yellow Tarpaulin, Red Green Tarpaulin, Red White Stripe Tarps, Red Blue White Stripe Tarps and other as per customer`s request. 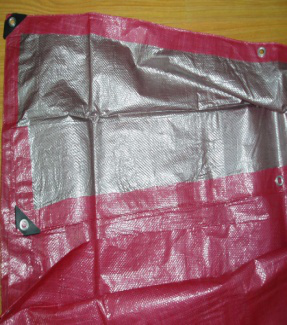 Besides common specification like all Tarpaulins, Red PE Tarpaulin also has its own advantages, is one of Tarps with the brightest color, is extremely visible, so is ideally used as following, is popular in North America, South America, Europe, the Middle East, Asia, Australia market, etc. Because the bright color can be easily seen, Red Poly Tarps is perfect to use for any situation that needs to stand out! People who sell outdoors using Red Tarps as Tent or Awning can surely grab the attention of customers even from a distance, it`s helpful for sales promotion. Red Tarpaulins also can be used for outdoor decorations, sports events, any other outdoor activities and decorations for holidays such as Christmas to create a festive atmosphere. 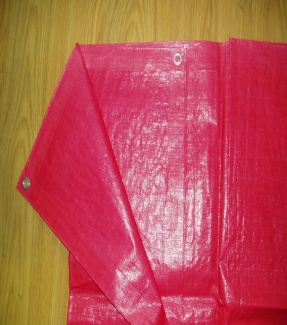 Red Tarps also could function as warning signs, is used in construction sites or other dangerous areas, keeping people away from harm and preventing accident. Red Lonas is also useful for emergency situations, which helps the rescue team locate the places where need help, helps people to be saved in time. Any inquiry for above Red Tarpaulins and other Tarpaulins we supply pls do not hesitate to contact us, Our service and products will satisfy you! 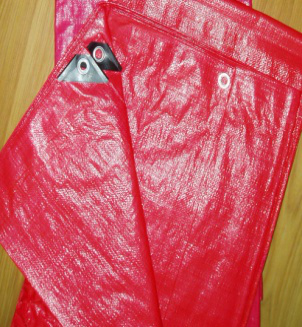 Some Red Tarpaulin pictures for your reference.